The Green Bowl Surf Camp is located at the southern tip of Bukit, the peninsula south of Bali and thanks to its top cliff location, it offers amazing views of the sea from almost every corner of the resort! We are less than one hour away from Bali international airport and the day and night life of Kuta, and just minutes from all the most famous spots in Bali, such as Uluwatu, Padang Padang, Bingin, Impossible, Dreamland, Balangan, Nusa Dua, Green Bowl, etc. The resort is very special, built in the rock, with a sumptuous swimming pool, surrounded by a lounge with pool table and a sun terrace offering the perfect space to relax after surf sessions. Of course there is also a restaurant and free WiFi, as well as a large yoga deck where we regularly have yoga lessons. The package includes 2 surf guide sessions per day, 6 days a week, where we will take you to the best surf spot in the area, depending on your level, wind and ocean conditions. Breakfast included daily and 5 dinners a week! If you do not yet have any surf experience, then you can book our surf school pack as a beginner from Monday to Saturday. Beginner surf lessons are held twice a day. Our guides have the best knowledge and know exactly which spot to go depending on the tide and swell, in order to find the best surfing conditions. During the surfcamp dinner, the next day's surf plan will be discussed so you can be well prepared for the morning session. The surf spots in the local area are especially suitable for intermediate and experienced, but an advanced beginner can safely surf at high tide. 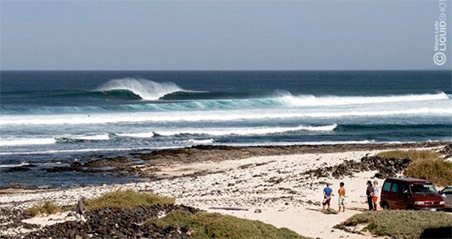 Surfcamp airport shuttle: For an extra cost of 36 euro, we can offer airport shuttle round trip, with private driver. Most nationalities do NOT need a special visa to go to Indonesia (30 days on arrival). We always recommend to check the validity of your passport before travelling (at least 6 months validity from the scheduled return date) and to take various copies of your passport with you, if the original gets lost. There are good hospital facilities in Bali, but we recommend traveling with an international travel insurance.